I love the way super thick yarns are popping up all over – and one of the latest is Lion Brand Color Clouds! 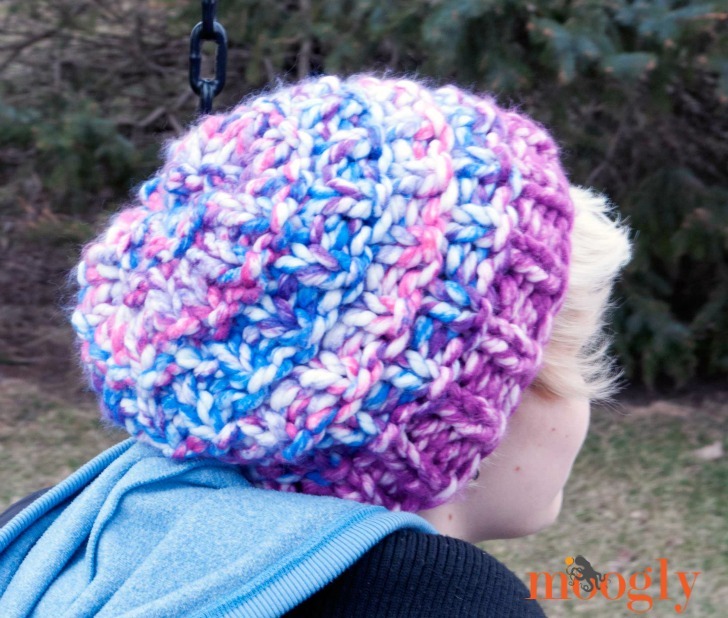 It’s a lovely Jumbo “7” yarn, and it was crying out to be a new hat pattern here on Moogly – a knit one at that! 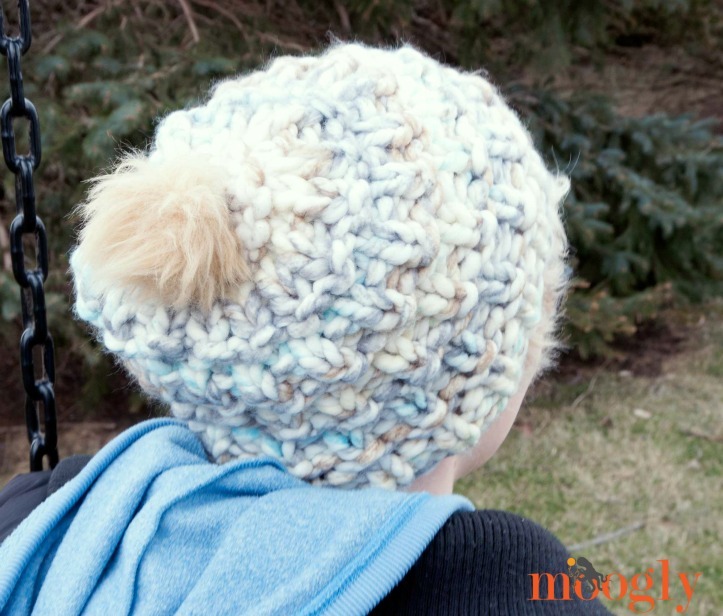 Because it’s knit, the Cloud Cover Beanie fits everyone from my 8 year old to my husband – lots of stretch! So it’s officially one size fits most, from older kids through adults! CO 34 using the long tail cast on or your prefered method. Place marker for beginning of Round. Round 6 and 7: Repeat Round 1. Round 8 and 9: Repeat Rounds 4 and 5. Break yarn, use long tail and yarn needle to gather last 10 sts off the circular needle and cinch top of hat closed. Weave in ends. Add pompom if desired. Et voila! A Color Clouds Cloud Cover, haha! 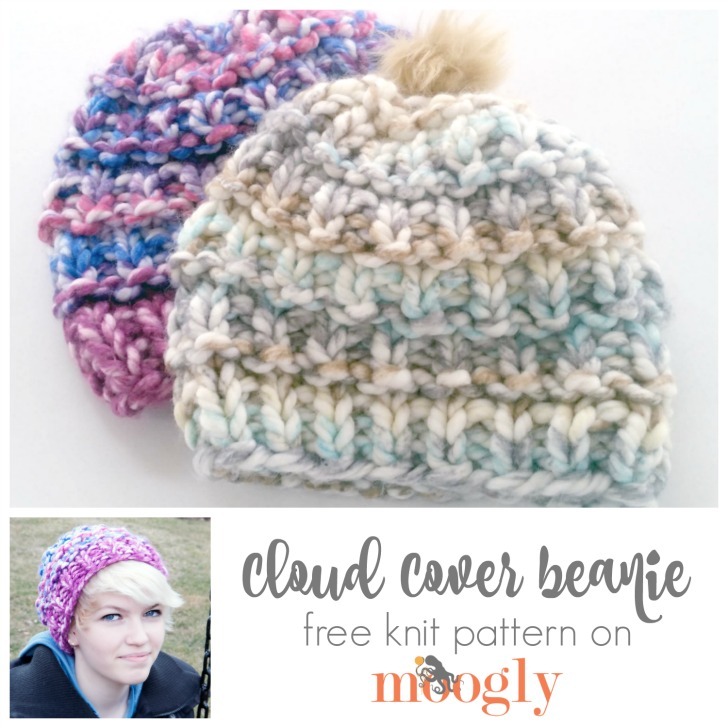 I hope you’ve enjoyed this free knit pattern here on Moogly! Written pattern copyright Tamara Kelly 2016, all rights reserved. Please do not reprint or repost this pattern, but please do link to this page to share this pattern with others. To print this pattern for personal use, please use the green Print Friendly button at the bottom of the pattern, or go to PrintFriendly.com and enter the URL of this page. If you wish to make items for sale from this pattern, or translate it to another language, please visit the About page for details. Thank you to Lion Brand Yarn for providing the yarn for this pattern! I haven’t been able to find the cloud colors in store, are they only available on the Lion Brand website? check to see if there is a lion brand outlet near you…we have one in Albany, n.y.
Can’t this be done on straight needles, and just sew it up the back? Which rounds are the “wrong side”? They are surprisingly easy to use – no more stitches falling off the end of dpns! 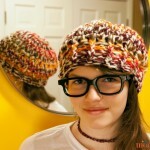 I like loose fitting hats and this beanie looks like it might be just right. Hi! I’m wondering if I need size 17 double point knitting needles to finish up this hat. Thanks! I was able to finish on the cables, but if you already have the dpns it is a bit easier! Hi Dorothymakar! This pattern is only available in knit, I’m afraid. I love this hat! Thank you. Somehow I managed to do it on 32in needles but I just ordered the 16 in Hiyahiya’s. 😀 Thank you Laurie, I’m so glad to hear it!! Oh, also I meant to say I found Color Cloud at AC Moore. Hi Harriett! 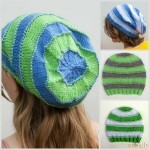 You can add more ribbing to the brim, or if you want it a lot bigger, you can add another repeat of Rounds 4 – 11. That will of course need another skein! Thank you Sarah! 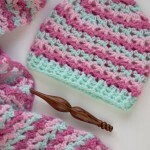 The best way to make them non-slouch is just to drop one or more of the pattern repeats! If there’s a particular one you’re interested in, I’d be happy to help! 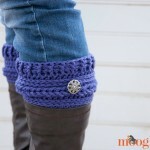 Do you know how/if I can make this braid like stitch with a crochet hook?